Working parents, here’s how you can understand and learn about your kids using innovative creative art, music, and colour therapy workshops. 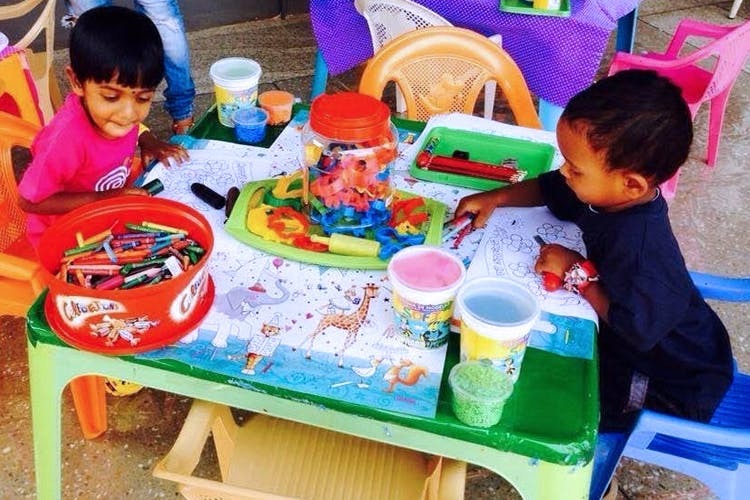 Shalu Ganglani, an internationally renowned creative play expert, uses these creative modalities to let kids express via colours to decode what’s on their minds. Don’t you miss those days when you could pick your favourite crayon and doodle your heart out on a blank sheet? Turns out that this gracious lady, Shalu Ganglani, will help you understand your child using the very same technique. The colour they pick talks a lot about their mood and state of mind, which could otherwise go unnoticed. Ganglani has experience with international schools and is the founder of Kids Concept Creative Play, which promotes learning through creative play. She arranges both group sessions and one-on-one consultation, that includes colour testing and analysis for children and teens. Her sessions are planned for kids from 18 months up to 9-year-olds, with different themes from around the world using art and craft workshop modalities. Each session goes on for up to 2 hours and the cost of the session is anywhere between INR 500 to INR 3,000 depending on the session you pick. It’s a new way to de-stress and learn things about your children and adults too in the most fun and creative way. We recommend you book your appointment in advance to block your spots and have an amazing experience. To book an appointment, contact +919833232101. For new updates, follow them on Facebook, Instagram & Twitter.